Nick Brooks for Shaw Media. 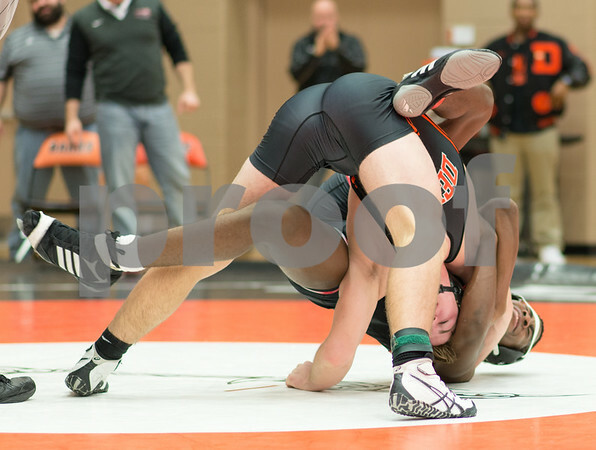 DeKalb's Jacobe Schmerbach is forced down by Huntley wrestler Justin Allen in the 170lb weight class. Schmerback took third place in the 3A Regional held at DeKalb High School.